Ward Cartoonist: Best. Gag. Ever. This gag is really great! Some people work their whole lives to create their "favorite." You are young enough and talented enough that there will be many more favorites to come and I look forward to laughing at them. Love it!! Thanks for making me laugh!! This one is very funny and minimalistic. And, for all we know, the mother snowman might be nine months pregnant (tough to tell with snowmen). BTW, Bagley was never this clever. This comic fits you perfectly since I always like to refer to your finished products as "cute" (remember how mad that used to make you?) This comic is definitely cute. I love it. Yeah, Jena, it took me a while but I've finally come to the acceptance that my art is more "cute" than "manly". But this joke is more than just cute. It's also commentary on gender roles in the church. 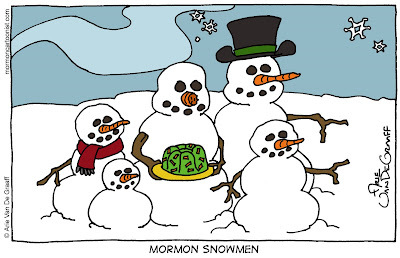 Do you think the dad snowman would ever sacrifice his nose for that Jell-o salad? 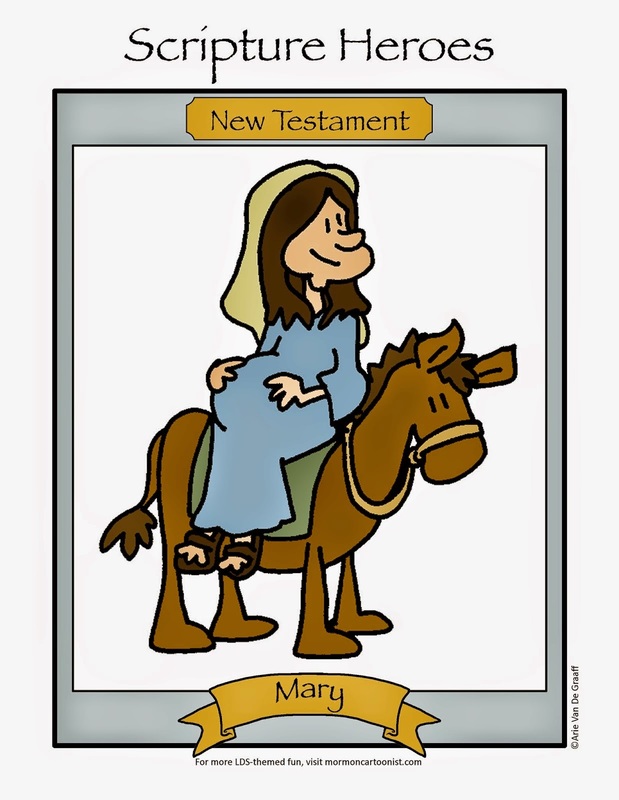 I'd like to think those Sunstone Mormon types could write a 20 page article on this gag alone. I like it! And I can tell you, Beckstrom didn't do it (I might, um, borrow it...). I love snowman cartoons, though. Good job!